Koh Phi Phi ferry times are primarily morning and afternoon from all of the main ports that connect Koh Phi Phi, Phuket, Krabi Koh Lanta and Koh Lipe. Depending on each port and how the travellers get there, the departures differ but most times are from 8.30 am in the morning and after 12.30 pm in the afternoon. The main place to get the exact information is at Phi Phi ferry times on phi-phi.com. Most of the ferries are half transport and half cruise as each boat takes people out from where they are to Phi Phi for a one day tour of the island. They vary in size and comfort but there is no doubt that the routes they take are some of the most beautiful in the world. There are surprisingly few Koh Phi Phi ferry times as most of the boats stay overnight on the mainland to take advantage of the one day tours of the island as explained above. This means the morning ferries from the islands tend to be more about transport and are smaller. Ferries to Phuket, Krabi and Koh Lanta leave at 09.00 am from the main pier and it is advisable to get on the boats a good 20-30 minutes early in high season if grabbing a seat is important. For those who are happy to lounge out on deck of the ferry, there is always some room. There are some nice bakeries near the main Koh Phi Phi pier if a 'rush and go' croissant and good quality are important. Take a look at the Patcharee Gallery if you want to explore this further. The afternoon ferry time from the main Koh Phi Phi Don Village Pier is 14.30 pm and here you can pick up a whole host of differing boats returning from their one day tour. Again get to the end of the pier 20-30 minutes early in peak season. Ferry times from Phi Phi. 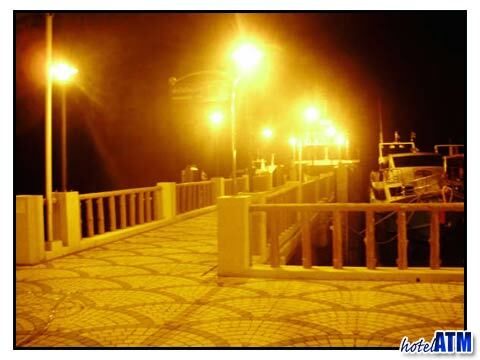 The ferry times are 08.30 am in the morning from Rasada Pier which is just sea side of Old Phuket Town. This government facility is a relatively efficient dock and waiting area and although there are crowds in the morning, the process is quick. The afternoon ferries that work with the arrival of the morning flights from Phuket International Airport depart at 13.30 pm and 14.30 pm. These are the same ferries that leave the island in the morning. See also Phuket airport Phi Phi island transfers. The ferry times from Krabi follow a similar pattern to those from Phuket but it is important to be clear on the departure location. Krabi is a whole province and ferries leave from Krabi Town, Ao Nang and Railay Beach and Koh Lanta which are in quite different places. This is further detailed at Krabi to Phi Phi. Also see Ferry times from Krabi, Ao Nang and Koh Lanta. 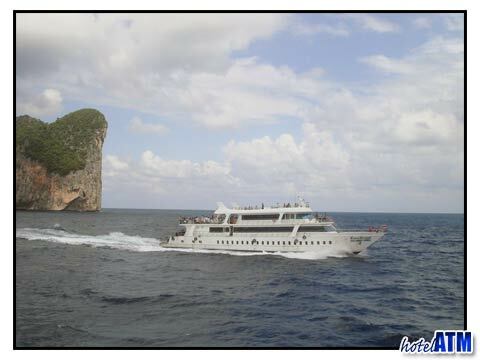 In addition to the normal services the Koh Phi Phi ferry times to Lipe route opens up in high season. The detail, times and prices of this island-hopping-trip-cruise-transfer can be found at the Phi Phi to Lipe article. For more information on the ferries and transport see the Transfer page that gives you links to the 'Phi Phi Pier', 'Phuket Phi Phi timetable', 'How much is the boat to Phi Phi Islands', 'Krabi to Phi Phi', 'Phi Phi Patong ferry', 'Phi Phi Lanta ferry', 'Phi Phi to Koh Phangan', 'Speedboats For Hire', 'How to get to Koh Phi Phi from Bangkok' and more.